I’m not quite sure when it happened, but I love the widespread trend of all the TCMFF bloggers/social media types posting their schedules ahead of time. Hearing people champion their favorites often makes me take a second look at screenings I might have overlooked, and I also get the vicarious thrill of seeing how other people approach the challenge of the TCMFF puzzle. Since pretty much any permutation of the TCMFF schedule would lead to a great experience, these posts (as well as the recaps) are one way to feel like I’ve gotten multiple attempts. Also, I’m extremely nosy, and these posts are basically like walking past someone’s house at night and getting to look into the living room window, which is fun. This will be my sixth TCM Film Festival (though only the fifth with a pass), but as of yet I’ve never posted one of my own. Until now. Below, I throw open the curtains to my own thought process, all of which will admittedly certainly change over the next couple of weeks and even at the festival. I’ll be heading to the festival immediately after work (the woes of attending as a local! ), but hoping to make it in time for the 6:30 block. I don’t have a formal strategy for my selections, as I try to mix in a variety of formats, genres, theaters, new-to-me’s and old favorites, and so on. The first block tests that strategy on both sides with a DCP of one of my favorite movies, Gentlemen Prefer Blondes, against my “discovery pick” of a 35mm print of Night World. I’m intrigued by Night World‘s charming villain Boris Karloff and brief but early Busby Berkeley number, but Jane and Marilyn on the big screen are probably too much for me to resist. For the 9pm block, I’m leaning The Bachelor and the Bobby Soxer, as I’ve never seen it and it’s one of the nitrate screenings at the Egyptian. If I’m feeling emotionally equipped for it, I could replace that with The Umbrellas of Cherbourg or, if I’ve arrived late in the first place, I’ll probably be at the pool screening of Ocean’s 11. Friday will almost certainly begin for me with Merrily We Go to Hell, starring my darling Sylvia Sidney and directed by Dorothy Arzner. I’ve also learned over the past few years that anything that Cari Beauchamp introduces is a pretty sure bet. However, I feel like I’ve seen a lot of people list this as their pick, so if it seems super crowded I may opt for Vincente Minnelli’s The Clock, which I had previously considered one of my “sure things” based on the first rounds of film announcements. The 11-12 block is a little tricky due to timing and distance, but I will most likely end up at Sleeping Beauty, which for my money is the most beautifully animated Disney film. The added bonus with Sleeping Beauty is that it’s short enough to give me time for an all-important mid-morning Muji break, aka the most peaceful spot on Hollywood Blvd. For 2-3pm, my decision between Sunrise: A Song of Two Humans (a favorite) with live orchestra and Sidney Poitier in A Patch of Blue (new-to-me) was already difficult, but then I made the mistake of looking at a picture of young Harrison Ford and now Raiders of the Lost Ark, a movie I have seen approximately one billion times, is honestly back in contention. I think this one is going to be a game time decision based on how the rest of the day has gone and how I’m feeling. Luckily, I just watched My Favorite Wife a few months ago so at least I didn’t have to factor that into the mix. In the early evening slot, I’ve had good success with weepies in previous years (The Way We Were, Postcards from the Edge), so Steel Magnolias would probably hit that same vein. But Cari’s also beckoning from Theater 6 with a 35mm print of Vanity Street, which piqued my attention with the mention of Mayo Methot as a “faded musical star.” I also think that I’m less likely to encounter that one outside of the festival—as much as I tell myself I’ll go back and watch everything I missed afterwards, I hardly ever actually follow through. The 8:30-9:30 is another hard one for me, as Do the Right Thing blowing the speakers out at the TCL Chinese—plus recent (finally!!) Oscar winner Ruth E. Carter in attendance—seems like the super obvious choice, but I also really wanted to see Desert Hearts because lesbians. The Road House nitrate was also something I thought for sure I’d be seeing when it was announced, but at this point it seems like a distant third. Midnight is easy: Santo contra el cerebro del mal! This was the first released Santo movie, and was filmed in Cuba. I’ve literally seen this exact restoration (by the fine folks at the Academy Film Archive)—in this exact theater—but it’s gotta happen again. Last year, Viviana Garcia Bresne of the Permanencia Voluntaria archive skyped into one of my classes to discuss her work in preserving the Santo films. From there, I was hooked (in a scholarly sense)—I managed to work both of my seminar papers that semester around El Santo. One was about the distinction between the work that Permanencia Voluntaria does in creating a “national cinema,” as compared to the state-funded Cineteca Nacional, because the lowbrow nature of the Santo films means they are very undervalued by the tastemakers. The other one was about how the Santo films ended up being seen in the US and how that context affected later American interpretations of lucha libre. ANYWAY. I will obviously be bringing bound copies of my papers to distribute at the screening, so keep an eye out. Again, I could almost see anything in the 11:30-12 block and be perfectly thrilled. Right now, I’m most excited for Kind Hearts and Coronets (new-to-me) or A Woman Under the Influence (favorite). To be honest, I don’t often choose my screenings by the guest, but Gena Rowlands would be one of the few exceptions. I also haven’t seen Sleepless in Seattle in forever, which could pair nicely if I decide to go with Love Affair in the following slot. But am I going with Love Affair in the afternoon slot?? Working Girl is another favorite of mine and, if we’re already picking things based on how hunky Harrison Ford is in them, this is certainly a huge contender. If I’ve gone with the sillier options earlier in the day, I might also be ready for another favorite with A Raisin in the Sun, with the fabulous Ruby Dee—but that’s also all the way at the Egyptian, which then starts overlapping into the next block. Having been burned before, I’m still a little cautious about setting my hopes on pre-Codes in the Festival’s smallest theater (though Theater 6 is at least bigger than the fabled Theater 4), but Blood Money sounds too wild to be missed. If I don’t get in there though, I’ll happily trek up to the Legion for another viewing of the great gothic Wuthering Heights to pick up some more inspiration for my interior decorating. The late evening again provides a tough decision. It’s not like I really need see Star Wars again, but seeing it in the mythical Grauman’s Chinese would make it special—even if it’s the special edition. 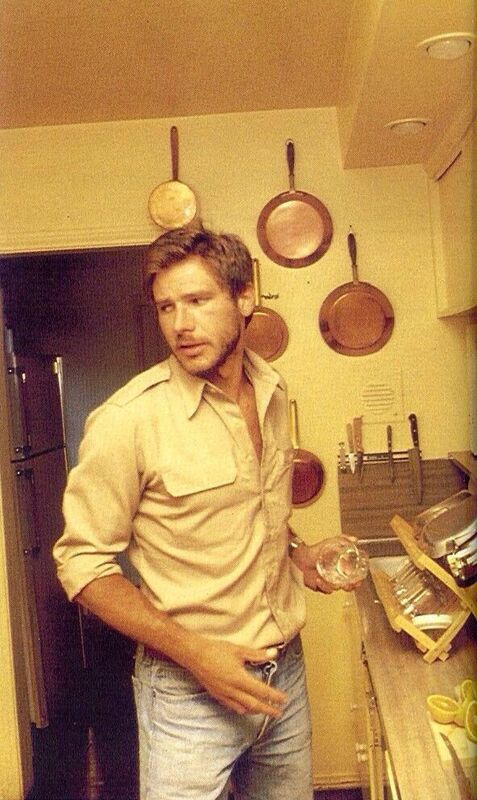 And of course, this is yet another god-tier Harrison Ford entry. That being said, it’s playing against Escape from New York with John Carpenter and Kurt Russell??? If I’ve done a lot of comedy/musicals by this point, a great action movie would be hard to top. Then again, there’s also Samson and Delilah on nitrate. I’ve never seen it, though I’ve wanted to ever since I saw Hedy Lamarr’s Edith Head-designed peacock dress at the Academy’s Hollywood Costume exhibition back in 2015. The last time I saw a film mostly for a dress was Lady in the Dark and honestly, those sequins were totally worth it. Again, I think this slot will depend on my mood and what other choices I’ve made along the way. Now, I’ll admit that I’ve never successfully attempted a SINGLE midnight at any TCMFF. But Santo + Stephanie Rothman’s The Student Nurses could be the combo that makes me try two. Rothman was one of the only female directors of exploitation films in the 1970s and I’ve always been curious to see more of her work. Her work on Terminal Island was really fascinating and influenced another one of my seminar papers! Sunday is a weird mixture of “musts” and “whatevers” for me. I’m kind of hoping that the Legion TBA will be something I haven’t seen, as I’m not entirely sure that I’ll have had the chance to visit the new venue at this point in the schedule. Otherwise, it’s probably a toss up between Mad Love and Holiday, neither of which I’ve seen but probably should. I haven’t seen ANYTHING in the 2-3pm range, so I’m also leaving this one fairly open! I will probably end up with The Killers if I didn’t do A Woman Under the Influence or Cold Turkey if I did. I’m not planning on seeing Gone with the Wind, but I might do the pre-panel discussion anyway as it features serious heavyweights Jacqueline Stewart, Donald Bogle, Stephanie Allain, and Molly Haskell. With double TBA spots in the 4:30-5:30 block, I won’t get too set on anything here, partly because I know I want to close out with The Dolly Sisters at 8pm and that limits my options among what’s been announced. So for now, A Woman of Affairs is the winner here, though Garbo + Gilbert make it a solid choice regardless. Some of my best years of TCMFF have closed out with a big musical (Easter Parade in 2014, Kiss Me Kate in 2015, The Band Wagon in 2016), so The Dolly Sisters is my other solid Sunday pick. It’s also new-to-me and the final nitrate screening, which both sweeten the deal. And it seems especially appropriate to close out the festival’s Fox celebration with a great Fox musical. If I’ve missed you, let me know! We have a lot of the same picks! The more I hear about Santo contra el cerebro del mal the more I’m tempted to try the midnight screening this year. That’s so cool that the preservationist spoke to your class!